Updated April 20, 2019: A-Basin will not be part of the Epic Pass for the winter of 2019-2020. Details below. Also: Idaho's Sun Valley and Utah's Snowbasin have been added to the Epic Pass for 2019-2020. They will exit their association with the Mountain Collective Pass. The Epic Pass and the Ikon Pass have had a superlative first winter to start their rivalry. Good snow across the North American continent has made most skiers happy for their pass purchases—and there were a lot of them. Vail Resorts sold 925,000 Epic Passes, and Alterra Mountain Company said it sold more than its goal 250,000 Ikon Passes. Clearly, skiers are reacting to higher daily lift ticket prices at mountains, some of which are asking more than $200 per day at this point, which makes the economics of a ski pass work well with just a couple of long weekend trips. The ski resort industry will continue to steer things this way, making the season pass more crucial for even casual skiers. As always, we're here to dissect both season pass options and compare their strengths, and help skiers decide which option is right for them. The best ski pass for Colorado - Ikon or Epic? The best ski pass for Colorado powder chasers. Most skiers are more familiar with the Epic Pass, which has been around for a decade. The full Epic Pass sells for $939 this winter, and includes seven days at Telluride along with seven days at Sun Valley and Snowbasin, plus another seven at ski resorts in the Canadian Rockies. The Epic Local pass runs $699 with limited access to Vail's premium ski resorts: Whistler, Vail, Beaver Creek, and with some blackout dates at Park City, Northstar, Heavenly, Kirkwood and Stowe. The Local Pass does not grant skiers any access to Telluride, but skiers get two days at Sun Valley and Snowbasin. The Ikon Pass offers similar pricing, with a full-fledged $949 version that offers unlimited skiing, with no black-out dates, across 12 ski resorts, including three destination resorts in Colorado—Winter Park, Copper Mountain, and Steamboat, plus Eldora, which is more of a local's mountain on the Denver side of the range. In addition, the $949 Ikon Pass grants skiers unlimited access to eight other ski resorts, from California to Vermont, including the headliners of Mammoth and Squaw Valley/Apline Meadows. Holders of this pass get the significant added benefit of seven days at: Jackson Hole, Big Sky, Killington, Sugarbush, Revelstoke, Deer Valley, Alta/Snowbird, and seven total days at the four Aspen area resorts owned by Aspen Ski Company. Ikon skiers can road trip to Canada, as well, as the full pass offers seven days total at three ski resorts in the Banff area: Mt. 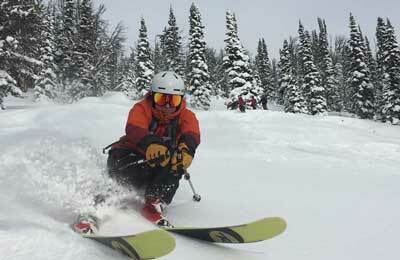 Norquay, Lake Louise and Banff Sunshine, plus unlimited skiing at Quebec's Tremblant. Families can pick up kids' Ikon passes for $199, with the purchase of an adult pass. For those not interested in the $949 pass and its wealth of unlimited skiing options, Alterra offers the Ikon Base Pass for $649, similar in benefits and price to the Epic Local Pass. The Base Pass grants skiers unlimited access to Winter Park, Copper Mountain, Squaw Valley/Alpine Meadows, plus six other ski resorts, and five days, rather than seven, to the same resorts as the $899 Ikon Pass. The five-day ski privileges, as well as those at Squaw/Alpine, come with black-out dates around Christmas and New Year's, Martin Luther King Day in January, and President's Day in February. Colorado remains the most concentrated stretch of major ski resorts in North America. Most people look to this state first for ski vacations, and Colorado itself is home to millions of native skiers in the Denver area who buy a season pass every year. The big change for the winter of 2019-2020 comes in the form of a resort defection from the Epic Pass. After standing with Vail Resorts for 20 years, A-Basin has decided to go it alone for the coming winter and will not be part of the Epic Pass after the current season ending in spring 2019. Ski resort management cited overcrowded parking lots, dining areas that couldn't keep up at lunchtime and an overall degrading of the A-Basin experience. The ski resort saw extra traffic from Denver-area locals whose Epic Passes limit the days that can be used at Vail and Beaver Creek. The Summit County resort would like to turn some of the Epic Pass holders who enjoy A-Basin so much into full-time A-Basin pass holders, giving the resort a chance collect a lot more revenue from these skiers. It's a strategy that obviously works for ski resorts with little local competition—Jackson Hole, Telluride, Aspen (multi-resort pass holders only get five or seven days at these resorts, not enough for locals)—but it can also work for iconic mountains who do have local competition: Alta, Snowbird, Deer Valley. All of these Utah mountains compete locally and are part of multi-resort passes, but because these latter passes limit the number of days to five or seven, many locals still opt-in for a full season pass. Inside the official state of the Rockies, the Ikon Pass gets skiers into eight total mountains, a total that includes the four Aspen resorts. If we start grouping these resorts into true destinations, there are four: Aspen, Steamboat, Winter Park and Copper Mountain. 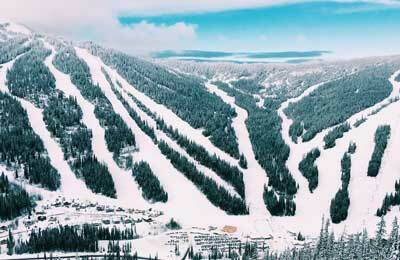 Eldora is on the pass as well, but it's a hill that doesn't handle destination skiers for the most part. The full Ikon pass grants skiers seven days at the Aspen properties, with unlimited everywhere else. So that's enough for week-long trip to Aspen, or two shorter long-weekend trips. In Colorado, the Epic Pass includes these Vail-owned stalwarts: Vail, Beaver Creek, Keystone, Breckenridge, and newly-acquired Crested Butte. A big addition to the Epic Pass for the 2019 winter, and what was the first destination resort added to the Epic Pass on a part-time basis is Telluride. Landing Telluride is a major coup for Vail, as it has tried similar gambits with Jackson Hole and not found success. How Epic Access works for Telluride: Holders of the full-blown $899 Epic Pass can use their Epic Pass for up to seven days of skiing at the mountain. There will be no Telluride access for Epic Local Pass holders. Epic 7-day, and 4-day pass holders will be eligible to use those days at Telluride. 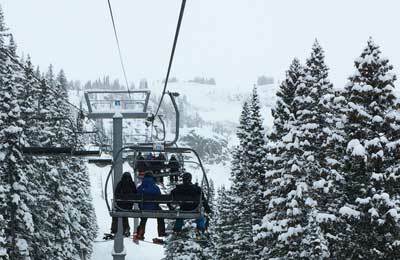 The arrangements are similar to those between the Ikon Pass and partner resorts such as Jackson Hole and Snowbird, with the notable difference that the cheaper Ikon Pass still grants access to partner resorts—five days with blackouts. Telluride CEO Bill Jensen told ZRankings that he was pitched by both Vail and Alterra, but felt that the best deal for Telluride was to go with Epic because of the demographics of its pass holders. Telluride dropped out of the Mountain Collective for 2018-2019, but that pass will retain the resorts that are now also part of the Ikon Pass. So in Colorado, that's five destination resorts on the Epic Pass, all of which are strong, compared with four destinations on the Ikon Pass. As for who wins inside Colorado, it's just about a draw, with a slight edge going to the Epic Pass. But for skiers who prefer Copper, Steamboat and Aspen, that could be flipped. After Colorado, skiers normally look to Utah, and both the Ikon Pass and the Epic Pass have strong offerings in the Wasatch state. The Epic Pass grants skiers unfettered access to Park City Mountain, the largest ski resort in the state, also the largest in the United States. Park City has charms that few other resorts can match, with ski runs tumbling into a charming Main Street, and a town lift that takes skiers straight up from premium drinking holes to high quality terrain. Park City has terrain worthy of true experts off of its Jupiter and Ninety Nine Ninety lifts. New for the winter of 2019-2020, Utah skiers with the Epic Pass will also have access to Snowbasin, a solid resort in the northern stretches of the Wasatch, about 30 minutes east of Ogden. Snowbasin is a 56 minute drive from Salt Lake and 70 minutes from Park City, which makes for an acceptable day trip for destination skiers who have rented cars. Snowbasin tends to be far quieter than ski resorts on the Park City or Salt Lake side of the Wasatch, and is good bet on weekends when lines at Park City, Alta and Snowbird can get gnarly. The snow profile at Snowbasin is similar to that of Park City: good, but not as prolific as the resorts on the west side of the Wasatch further south. The only thing missing from the Epic Pass in Utah is a ski resort in one of Little or Big Cottonwood Canyon, which are home to the best snow in North America. For now, all of those resorts sit on the Ikon Pass. Whereas the Epic Pass gives skiers access to two Utah resorts, the Ikon pass gets skiers a total of seven days access to two of the best ski resorts in North America—Alta and Snowbird—which are both rankined the top 5 at ZRankings, and live in what is the most hospitable place for good skiing snow on the continent in Little Cottonwood Canyon. Alta and Snowbird are on the other side of the Wasatch from Park City, so a quick trip from the Salt Lake Airport, or about an hour from Park City. For skiers wanting to base their trip out of Park City, the Ikon Pass gives skiers seven days at Deer Valley, which is owned by Alterra. Deer Valley is focused on luxury and higher-spending clientele, but the mountain does have interesting terrain, and its snow profile is similar to that of Park City's as it is simply on the other side of Daly Canyon from town. In addition, Deer Valley is ZRankings' undisputed king of slopeside food. Even the baked goods rival that of a five-star Yelp bakery at sea level. In addition, Alterra, the parent company of the Ikon Pass, bought Solitude in 2018. Ikon skiers will receive unlimited access to the resort, with the Base version of the pass facing a small handful of holiday blackout dates. In addition, skiers with the Ikon Pass will now receive seven days of access to Brighton, Solitude's next-door neighbor in Big Cottonwood Canyon; Ikon Base Pass holders will receive five days of skiing at Brighton. With these additions of Solitude and Brighton, the Utah options for Ikon Pass holders have grown abundant. Ikon now counts two of the best ski resorts in the world—Alta, Snowbird—plus the Park City-located Deer Valley and Big Cottonwood Canyon's Solitude and Brighton. The edge in sheer locations clearly goes to Ikon here. And the unlimited number of days accessible at Solitude now gives Ikon pass holders the sheer volume that Epic pass holders can enjoy at Park City. Solitude isn't as strong of a total package as Park City, which remains one of the pre-eminent town-mountain combinations in North America. But Solitude does offer far less traffic and a quieter experience on holidays when Park City and Little Cottonwood Canyon can get mobbed. For Californians, the matchup is worth examining from a north-south standpoint. Southern California skiers will likely favor the Ikon Pass, whose full-fledged version gets skiers unlimited access to Mammoth Mountain, which is owned by Alterra, and is the alpha destination for those driving from the Los Angeles area north through the state to the Sierra. The Ikon pass also grants skiers unlimited access to Big Bear and June Mountain, both ski resorts favored by Southern Californians. For Northern Californians and those in the Bay Area, both passes offer good options. Alterra owns Squaw Valley and Alpine Meadows, which offer some of the best terrain in the Tahoe area, and for which both the full version and the Base version of the Ikon Pass offer full access, the latter with blackout dates. The Epic Pass, however, includes full access to Northstar in the Northern Tahoe area, and Heavenly and Kirkwood further south in the region. Kirkwood is the most dependable resort for snow in the Tahoe region, and Heavenly rules South Lake Tahoe alone, while the upscale Northstar gives Epic skiers an anchor closer to I-80. In northern California, the edge goes to the Epic Pass. Three of the four wildcard resorts in none of the regions yet discussed are heavyweights: the Epic Pass has Whistler-Blackcomb, and the Ikon Pass will give skiers seven or five days each at Jackson Hole and Big Sky, depending if skiers hold the full Ikon Pass or the Base version. All three ski resorts are ranked highly by ZRankings, but especially Whistler and Jackson Hole, which has been our No. 1 ranked resort for several years. Whistler, however, appeals to a larger cross-section of skiers and has created the most unique and interesting mountain village in the business, which gives its mountain, a stalwart that spans more acreage than any other on the continent, an appeal that leads most skiers to this place at least once. For that reason, we'll call the wildcard Western portion of the comparison a draw. The Ikon Pass also includes Revelstoke, a vast resort on the western side of the Canadian Rockies in central British Columbia. Revelstoke is worth going to, if just for the views of the Selkirks looming above the clear waters of the Columbia River, which, even though it is more than 1,000 miles from where it empties into the Pacific in Oregon, is broad and formidable here. The skiing is good, too, with a vertical drop from top to bottom—5,620 feet—that is unmatched by any other mountain in North America. Revelstoke is harder to get to than any other resort on this list. It requires a commitment, with a flight and a long drive from Calgary, or a flight into Kelowna, which is still a 2.5-hour drive from Revelstoke. The one important difference is that Ikon skiers will be limited on their days at these resorts, whereas Epic Pass skiers can log as many days at Whistler, considered by many to be the ultimate destination resort, as they wish. This comparison is interesting, with the edge going to the Ikon Pass, which grants skiers access to eight mountains in the eastern half of the continent, with five in New England, including Killington, Sugarloaf and Sunday River, along with one each in Ontario, Quebec (Tremblant)and West Virginia Snowshoe. The Epic Pass gives skiers access to one of the best ski resorts in the East, in Stowe, which is the strongest of all the eastern resorts on one of these two passes. In addition, Vail has struck agreements with Vermont's Okemo and New Hampshire's Mount Sunapee to grant all Epic passholders seven days of skiing at these resorts. Even with those additions, the breadth of the Ikon offering in the east is tough to beat. Although skiers from the Chicago, Minneapolis and Detroit metro areas might consider the Epic Pass first, as Vail owns regional hills near each of the cities, a strategy that has paid dividends for the company. It's remarkable how evenly the passes compare to each other, as they both offer good coverage and flagship resorts in Colorado, Utah and California. Skiers' decisions on what pass to buy will come down to where they live and what mountains they prefer year after year. We expect many destinations skiers to alternate from pass to pass in some form across multiple seasons. The Rocky Mountain Superpass has been discontinued. Skiers will find most of the resorts from this pass have relocated over to the Ikon Pass in one form or another. Also - the Max Pass has been discontinued. Skiers will find that some of the ski resorts, such as Big Sky, have moved over to the Ikon Pass. Others have been left out of the multi-resort pass musical chair game for now, but we expect them to find a new home at some point.